You can select any serie that you like and ask me to make it for B&R. Buckle: BR buckle available in polished, brushed, and black PVD finish for $17 each. Sizing: I suggest you take at least 125/80 because my straps is thick, unless you want thinner. 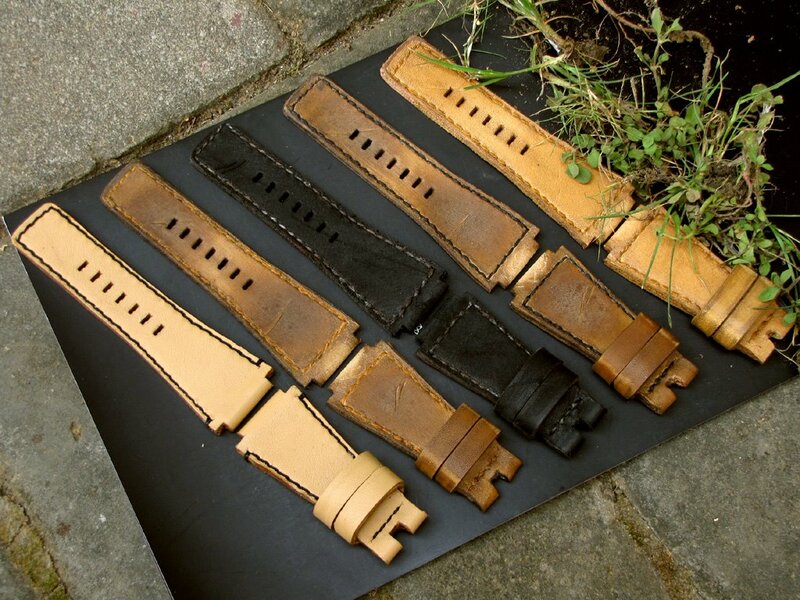 From left to right is: PVD-Tan for BR, Caitlin 2 for BR, BB for BR, Caitlin 2 with black stitch for BR, Caitlin 1 for BR.